Would we expect Dennis Thatcher to speak up for Maggie? What would we think if he berated the men of the Argentine Junta for piling on against his wife? How would we respond if he accused the BBC of bias against his Prime Minister/wife? The fact that Bill has been president just makes his intervention the more obvious and politically costly. Here we have not only a husband standing up for his woman, but a former president helping his ing�nue wife in her efforts to fend for herself. The stereotype is not appealing and undermines Hillary�s candidacy. The more Bill Clinton speaks the more he reminds the American people of his legacy of deceipt and scandal. A new Clinton administration will inevitably bring more of the same. There are already the all too familiar rumors and accusations of sexual escapades and dirty politics. Kathleen Willey has a new book out. 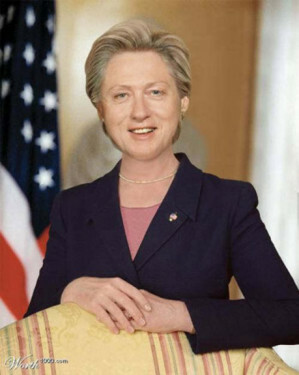 Hillary is rumored to have a relationship with an assistant. The chickens will doubtless come home to roost for these two. He will prove to be a millstone around her Presidential aspirations. Morris needs to reread Echo and Narcissus. Everything is still going according to script.